Uber is to report crimes directly to the police and will set up a phone line as part of measures to improve safety. Last year, a Metropolitan Police officer said in a letter that passengers were being put at risk because of delays in the reporting of sexual assaults. The company said it was changing its policy “after listening to feedback”. It is currently appealing against Transport for London’s decision to withdraw its operating licence. TfL said the ride-hailing service was not a “fit and proper operator” in its ruling last year. Uber said its policy of “pro-actively” contacting the police about serious incidents was already happening in London and would be rolled out across the UK after discussions with other police forces. It said it previously “encouraged and supported individuals” to report serious incidents and would conduct a review of all previous serious complaints to ensure there were no outstanding issues. TfL cited the company’s approach to reporting serious crime as a key issue in denying it a new licence. Last year, the Sunday Times revealed a letter written by Inspector Neil Billany of the Metropolitan Police’s taxi and private hire team to TfL, exposing the force’s increasing concerns about the taxi-hailing app. He said Uber’s policy of logging criminal complaints about its drivers with TfL were risking passenger safety because it caused delays, and in one case he believed it led to a more serious, second, alleged sexual assault. The Metropolitan Police said it did not wish to comment on Uber’s latest announcement, but said it “would encourage anyone with information about a crime to report it to the police”. Other changes include plans to give customers more access to driver information, including the licensing authority and private hire number of their driver. There will also be a new round-the-clock support line for both passengers and drivers to handle any issues around a journey. The US firm has been attempting to reshape its image under new chief executive Dara Khosrowshahi after the departure of former boss Travis Kalanick and a host of other executives last year. These departures followed a string of scandals, including claims of sexual harassment within the company and a massive data breach. Tom Elvidge, general manager of Uber in the UK, said: “After listening to feedback from drivers, riders, local regulators and the police we’re introducing a number of new features and changes to enhance driver and passenger safety. In reaction to the announcement, TfL said safety was its top priority. It welcomed the introduction of a phone line saying it was “in the interests of public safety and passenger convenience that all operators should enable passengers to speak to someone during their hours of business and at all times during a journey”. It added it was also lobbying the government to introduce national legislation which would require taxi journeys to start and end in the area in which a driver and vehicle was licensed. 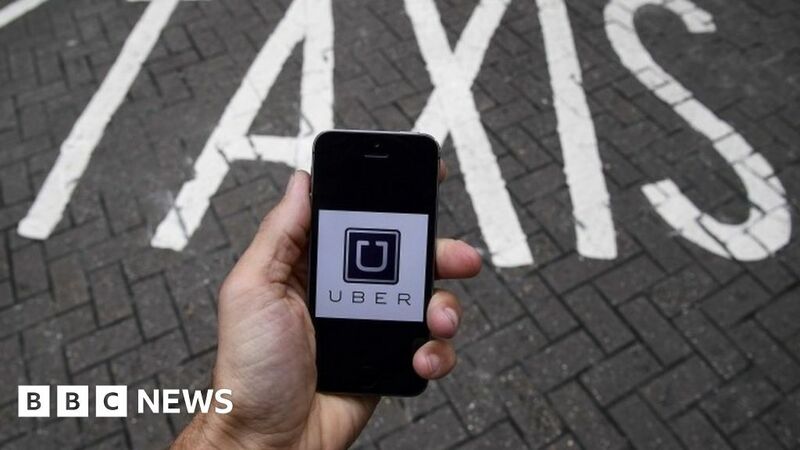 Earlier in the week, Uber announced that from the middle of March, drivers would only be able to receive requests from the Uber app in the region in which their licensing authority was situated. It said this was because local authorities said it was difficult for them to oversee what drivers were doing in their area if they were licensed in another part of the country. This means drivers will work in one of 9 regions in England and Wales. TfL and Uber are due back in court for the licence appeal hearing in June.